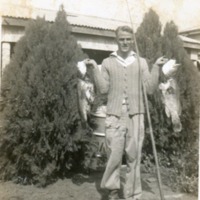 Talking Fish is a research data collection of oral histories and local knowledge in building community participation in Murray-Darling Basin river rehabilitation. 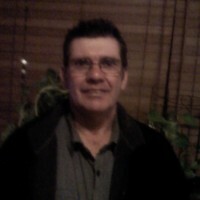 It includes a cross section of age, class, gender, and Indigenous Australian communities. Recent decades have brought an increasing realisation that the health of the Murray-Darling Basin is at risk. An array of pressures ranging from the over allocation of water resources, poor land management planning and the expansion of primary production have all contributed to declines in river health. Fish and their habitats have been greatly affected by these pressures, with estimates suggesting native fish populations are at 10% of pre-European colonisation levels. 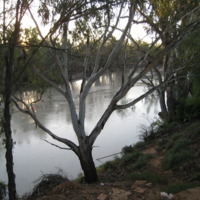 As all levels of government explore options for improving the health of the Murray-Darling Basin, the knowledge held by people within the community who have had a lengthy association with the waterways of the Basin is being increasingly recognised as a valuable resource. People’s lived experience provides a unique insight into how changes in rivers and their associated habitats have occurred over time. Accessing and recording this information will make a significant contribution to our knowledge of the Murray-Darling Basin, and help shape the management decisions of the future to achieve improved river health outcomes. Many different groups of people have developed unique relationships with rivers and their associated environments. The long history of recreational fishing within the Basin has led generations of people to spend substantial amounts of time on or near its rivers. Their desire to experience the river and to catch fish has developed a refined understanding of how fish relate to the riverine environment, and consequently how the changes to these environments have affected the status of native fisheries. Similarly, Indigenous peoples have relationships with the rivers that stretch back tens of thousands of years before the arrival of European colonisers. This strong and lasting association has also allowed Indigenous peoples to witness contemporary changes to the health of the Basin’s rivers and observe how these changes have influenced fish and their habitats. In addition, landholders, long-time residents, regular tourists and an array of other community stakeholders hold stories and memories of the river that are an invaluable resource for guiding its future management. 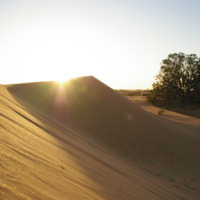 The project represents a unique collaboration between some of Australia’s most prominent ecological oral historians (both within tertiary institutions and commercial production companies), all four Basin-state fisheries agencies and regional NRM organisations. The integration of research institutions, government and local community stakeholders provides a diverse and flexible framework to access a wide range of participants and ensure the collection, analysis and presentation of information is in accordance with national and international best practice. 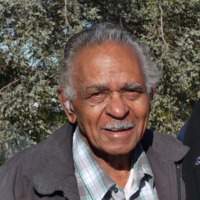 The project delivered a suite of oral history recordings from across the Basin, while also developing communication products in the form of radio features and community booklets. This output was deposited with the Mitchell Library of the State Library of New South Wales and the Australian Torres Strait Islander Digital Archive (ATSIDA). Physical copies are held at the Mitchell Library (Accession Record MLOH 647). Data collected between 2010-07-01 and 2011-06-30. The period the data refers to spans from the early 20th century to the early 21st century. An interview in four parts with Carmel Chapman, who works at the Wentworth Information Centre. 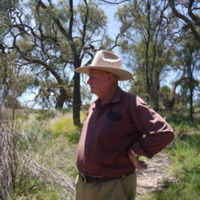 Bill and Elaine Grace are landholders on the Great Anabranch of the Darling River. 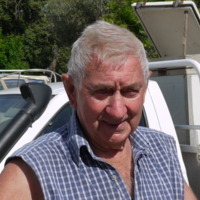 They own sheep, cattle and some dryland wheat on their property on the Anabranch. They discuss the Darling Anabranch Pipeline scheme and other water issues. A selection of photographs provided by Trish Johnson on the day of interview with Trish by the Talking Fish project team. No audio was recorded. An interview in four parts with Bill Lever. An interview in three parts, conducted at the Murray-Darling Freshwater Research Centre with Clayton Sharpe, a Fish Biologist and specialist in Yellowbelly. An interview in three parts with Rodney Stone, President of the Wentworth Fishing Club. 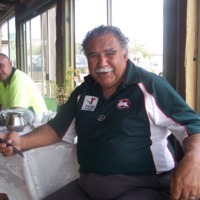 An interview in three parts with William Riley, a Paakantji man. An interview with three local fisherman Keith Codrington, George Thomas, and Robert Worboys.